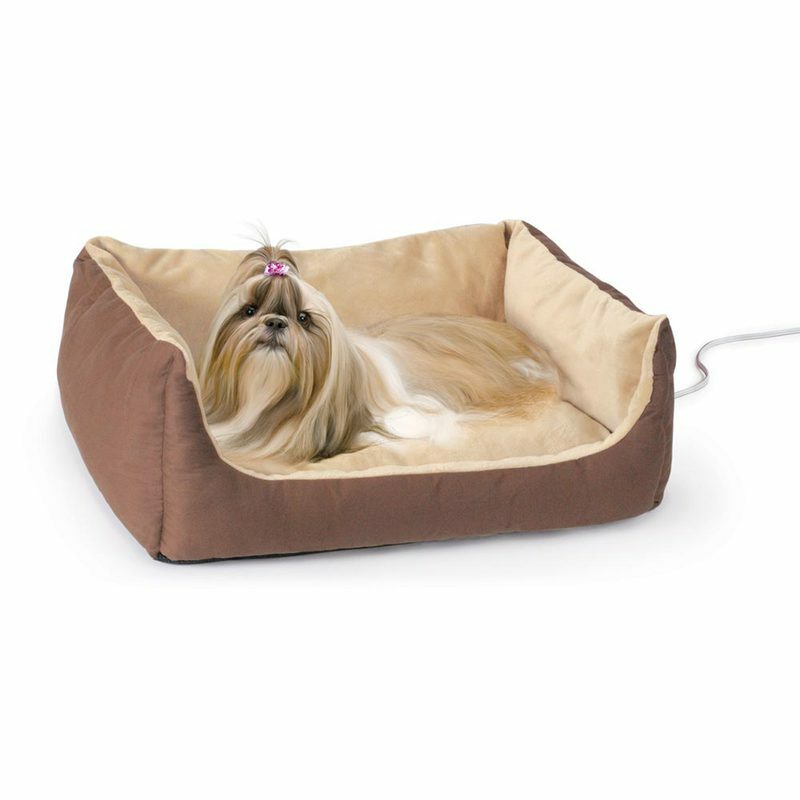 K&H Pet Products Thermo-Pet Cuddle Cushion Brown 14" x 23" x 7"
With walls on 3 sides, this bed gives the ultimate in warmth while giving a safe, secure feeling of a walled bed. The lowered front provides unobstructed access for even the tiniest of pets. A super-soft removable cushion is easily washable and can be used with or without the heating system. 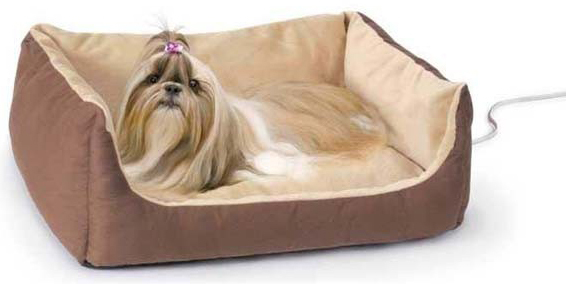 This bed is MET listed for safety and is sure to become your pet’s favorite place in the home. Sleeping Dimensions: 12" x 20". All K&H heated beds and pads feature dual thermostats and are designed to warm to your pet's normal body temperature when he/she lies on the pad. When your pet is not on the pad, the heat will dissipate into the air and the surface temperature will vary according to the ambient air temperature. All K&H heated products are thermostatically controlled to heat to 102° F, regardless of the size. Dual thermostat simply means there are two internal thermostats that will keep the surface of the bed at 10-15° F above ambient air temperature when your pet is not on the bed. When your pet lies on the bed, it will warm to about 102° F.
Dimensions: 14" x 23" x 7"